Ms. Christine Vazquez is the newest addition to our Immigration Division. 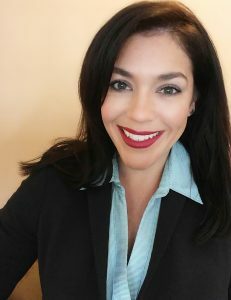 Ms. Vazquez graduated from Barry University School of Law in 2017. She served as the school’s Vice-President of the Immigration Law Society and President to the Hispanic American Law Student Association. Ms. Vazquez is of Cuban and Puerto-Rican descent and is fluent in both English and Spanish. Ms. Vazquez is an advent traveler and furthered both her undergraduate and legal studies abroad in Salamanca, Spain and at the UNESCO-IHE Institute in the Netherlands. Ms. Vazquez has a passion for assisting others through the immigration process. She has volunteered her time through pro bono work in refugee resettlement centers in North Carolina, legal clinics in central Florida, and community food drives throughout the year. Ms. Vazquez currently specializes in Petitions for Alien Relatives, Adjustment of Status cases, Naturalization, and Provisional Waivers.